Watch a playback of this webinar here. Wight is responsible for leading and executing all publicity, content and media strategies for DeanHouston clients, which include, among others, Dover Corporation, PSG, OPW, FRAM Filtration, Prestone, Ryder Fuel Services, Waukesha Bearings, Texas Hydraulics, and Datamax-O’Neil (now part of Honeywell Scanning & Mobility, a business unit of Honeywell Automation and Control Solutions). His B2B media experience dates to 1998. 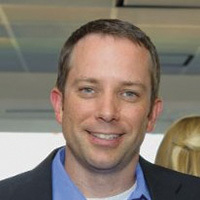 Prior to joining DeanHouston, Wight was Editor-In-Chief for National Petroleum News, Tobacco Retailer and NPN International magazines, owned by Adams Business Media. Over the past decade, his department has been one of DeanHouston’s fastest growing, a result of the heightened importance B2B companies now place on content development. Bonnett is responsible for developing the strategic framework around the marketing and communications goals for DeanHouston clients. He has over 20 years experience and a successful track record of delivering year-over-year, top-tier growth with prior employers in the B2B space, including, most recently, PSG, a Dover company and a leading manufacturer of positive displacement pump and supporting technologies. He served as PSG’s Vice President of Global Marketing from 2010 to 2014. For the better part of the past 16 years, Walter led the worldwide marketing, communications, branding, and digital strategies of PSG and its multiple operating companies. 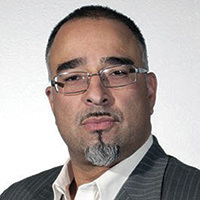 He is a digital marketing expert, whose additional, relevant experience includes channel marketing, change management, project management, community relations, sales lead generation, and product launches.